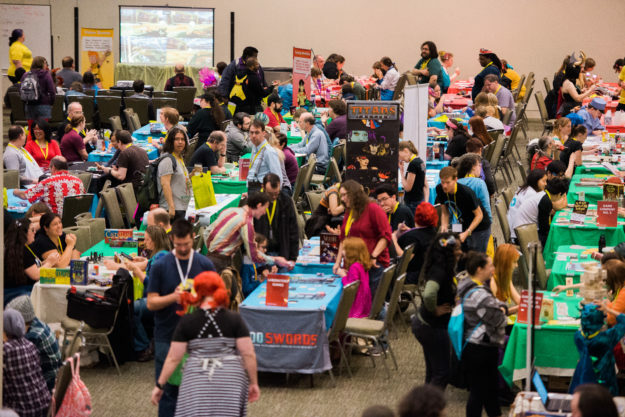 Every year, the gaming team puts together an entire floor of wonder—working hard in meeting the high standards set in previous years to bring the joy and discovery of storytelling, role-playing, worldbuilding, painting, strategizing, and exploration. Check out a game at the board game library brought to you by Card Kingdom. Looking for the right game but don’t know where to start? Have a question about a demo? Need someone to engage in witty banter? Stop by the Game Info Booth located at the base of the stairs for help with all your gaming floor needs! Come by for times and sign-ups! Check out some organizations and people hosting games and demos below. Cheapass Games Cheapass Games is a small, delightfully snarky game company based in Seattle. Led by game design legend James Ernest, they specialize in casual, quirky titles and pub games. Learn more about Cheapass Games and download a free game or two at Cheapass.com. The Lady Planeswalkers Society The Lady Planeswalkers Society aims to create welcoming environments for all genders and skill levels to learn and play Magic: The Gathering! Outside of running tournaments every week, the group’s dedicated, experienced staff teaches Magic at many conventions. Pathfinder Society Join local Pathfinder Society members for an introduction to the Pathfinder RPG, an evolution of the world’s oldest fantasy RPG, and the genre of d20 roleplaying games. We’ll provide the supplies! With strict policies against bullying, Pathfinder Society groups provide a fun, welcoming environment for roleplayers of all ages. Steve Jackson Games Steve Jackson Games, based in Austin, Texas has been publishing games, game books, and magazines for nearly 40 years. You may have heard of some of their many hits including Munchkin, GURPS, Zombie Die, and Illuminati. They are demo-ing their games and giving away goodies! ConTessa (13+) For nearly five years, ConTessa has been changing the face of gaming with the awesome power of representation. Their games are entirely led by women, people of color, people with disabilities, and folks on the LGBTQ+ spectrum. GeekGirlScouts Bring your compass, sash, and sense of adventure as you explore an exciting gaming experience designed and facilitated by the Girl Scouts of Western Washington! Dungeons & Dragons Adventurers League Heed the call, heroes! Let one of the professional Dungeon Masters of the league take you on a thrilling adventure! A great way to learn to play Dungeons & Dragons 5th Edition while exploring the world of the Forgotten Realms. Brought to you by our friends at Wizards of the Coast. Forrest-Pruzan Creative Celebrate the joy of painting in a game of strategy and serendipity: Bob Ross Art of Chill from Forrest-Pruzan Creative. Earn “chill points” by painting landscape features like Happy Little Trees and Almighty Mountains using colors and brushes from your hand of cards. Fantasy Flight Games Fantasy Flight Games is a leading hobby game company based out of Roseville, Minnesota. They publish a massive array of board and card games, roleplaying games, Living Card Games®, miniatures games, and digital games. Asmodee Whether you’re looking for a fun game for the family, an engaging conflict between friends, or a controversial and exciting face-off, Asmodee has something for you. Founded in 1995, their best-sellers include Splendor, Dixit, and 7 Wonders. Wizards of the Coast (12+) Preview Betrayal at Baldur’s Gate before it’s released! The shadow of Bhaal has appeared over Baldur’s Gate, summoning monsters and other horrors from the darkness! Based on an award-winning board game, players work together until a horrific evil turns one—or possibly more—of you against the others. Magic: The Gathering, Spellslinging with Wizards of the Coast Line up early to battle some of the minds behind Magic: The Gathering from Wizards of the Coast! 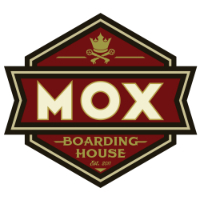 Preconstructed decks are provided and players earn prizes win or lose. Space is limited. Casual and experienced Magic players welcome! RPGs with Andy Join our game master laureate Andy Munich to learn and play RPGs. New players and seasoned campaigners are welcome. Play something you’ve never played before or return to an old favorite! Check out the gaming floor for times and more details. Green Ronin Blue Rose: The Roleplaying Game of Romantic Fantasy is a tabletop RPG in which the players take the role of heroes in the world of Aldea. Connections to other characters matter as much as combat skills and magic in these tales of solving mysteries, righting wrongs and daring heroics. ZeroD20 ZeroD20 is an inclusive gaming podcast site that aims to improve representation and promote under-represented voices in gaming. The awesome ZeroD20 crew will be hosting a variety of D&D campaigns. Check out the gaming floor for times and more details. Catan Studio After a long voyage of great deprivation, your ships have finally reached the coast of an uncharted island. Its name shall be Catan! But you are not the only discoverer. Other fearless seafarers have also landed on the shores of Catan. The race to settle the island has begun! Game Company No. 3 Stitches is a semi-verbal light card game of monstrous modification for 3 – 7 players. You are a lonely monster left to fend for yourself in the Dark Woods, where many foul beasts roam. Learn language, upgrade your parts, and form teams in your quest to defeat the terrible Abomination, grunting, growling and howling your way to victory! Paws and Padlocks Paws and Padlocks is a family-friendly dungeon crawler where you play as adventurers breaking into Slime Castle to steal the evil Slime Queen’s treasure. Build your path to the treasure by laying out room cards on the board while messing up another player’s path along the way. While exploring the castle, you can fight Slime monsters, open treasure chests, and trigger events that change up the game! Norwester Games Stitches is a semi-verbal light card game of monstrous modification for 3 – 7 players. You are a lonely monster left to fend for yourself in the Dark Woods, where many foul beasts roam. Learn language, upgrade your parts, and form teams in your quest to defeat the terrible Abomination, grunting, growling and howling your way to victory! Story Games (7+) Story Games on Demand is back at GeekGirlCon this year! These collaborative storytelling games encourage players to make stories and solve fictional problems. Ideal for players who like to play pretend, tell stories, and make worlds, Story Games are fun and inclusive! Adult supervision encouraged for younger kids. 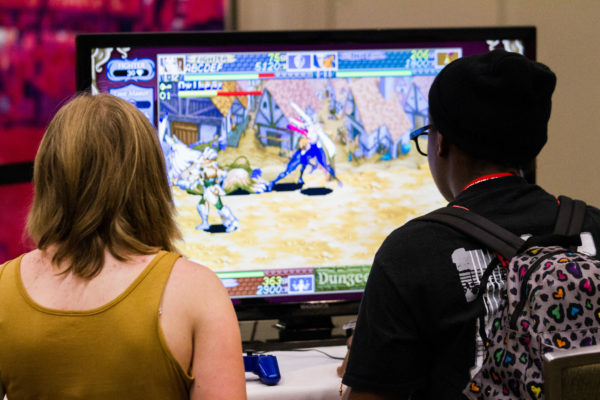 Presented by Xbox’s Women in Gaming, Console Free Play returns to GeekGirlCon with this year’s best co-op titles alongside the single player hits. Come bring a friend or make some new ones! Watch as your favorite gaming personalities play the games that made them famous! Get a behind-the-scenes look into voice acting, game development, community groups, and more. Check the schedule for the list of events and hosts plus co-op opportunities! Smash Sisters and AnyKey host our inaugural year of Tournaments with Super Smash Bros.! Tournaments run both Saturday and Sunday in the Expo Hall. Come by for times and sign ups! Seattle Indies is vibrant & inclusive non-profit community of indie game developers in the greater Puget Sound dedicated to empowering people to make video games. We’ll have 8 diverse indie games for you to play, most of which were created by women & non-binary developers or have a focus on diversity! Come play brain-bending puzzle games like Puzzle Depot, moving narrative RPGs like Rakuen, or edutainment games like Pride & Prejudiced Illuminated!